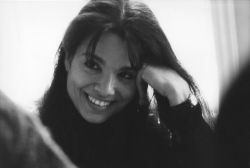 Carole Cerasi is one of the foremost early keyboard players of her generation. In the last 25 years she has established herself at the very front rank of performers and recording artists in her field. Her many performances have received great critical acclaim and her recordings have garnered an impressive series of awards. Carole has given recitals in major festivals including La Roque d'Anthéron, Sablé, Ambronay, Istanbul, Lufthansa, York, Göttingen, Harrogate, Warwick, Brno, Dieppe, Tallinn, Lausanne and Ludwigsburg festivals. Additionally she has given recitals throughout Europe (Great Britain, Ireland, Iceland, Norway, Sweden, Denmark, Estonia, Czech Republic, Poland, Germany, Belgium, France, Spain, Italy, Turkey, Israel) as well as in Japan, Singapore, Colombia, Canada and the States. Carole has premiered a number of works for harpsichord by Matteo Fargion and the South African composer Kevin Volans. She has worked closely with dance groups Siobhan Davies, Rambert, and Shobana Jeyasingh Dance Companies, performing both 18th century and contemporary pieces. Her debut CD of Elisabeth Jacquet de La Guerre won the 1999 Gramophone Instrumental Award; discs of C.P.E. Bach and Thomas Tomkins were received to great critical acclaim, including the Diapason d'Or de l'Année. Her next CD, J.S. Bach and the Möller Manuscript, won a further Diapason d’Or de l'Année and was runner-up in the Gramophone Baroque Instrumental Awards. Further critically acclaimed discs of works followed with sonatas by Manuel Blasco de Nebra, Bach’s English Suites, Haydn and the Art of Variations and sonatas by Scarlatti (runner-up in the 2012 Gramophone Awards). Her latest release entitled Treasures of the Empfindsamkeit explores works by CPE Bach, Müthel, Haydn and Mozart. Known for her expressive and virtuosic intepretations, fluidity of phrasing and refined touch, she has delighted audiences and critics alike in repertoire extending from Byrd, Froberger, the French clavecinistes, Bach and sons, to Haydn and early Beethoven. 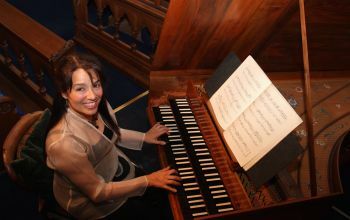 Carole began her harpsichord studies aged 11, and, after meeting Kenneth Gilbert, was invited by him as the youngest ever participant on his course at the Vleeshuis in Antwerp. He later described her as the most talented student he had encountered in his teaching career. She also made regular visits to Gustav Leonhardt in Amsterdam. At the core of her musical life has always been the constant and profound influence of the esteemed pedagogue, harpsichordist Jill Severs. A highly respected teacher herself, besides her work as Professor of Harpsichord and Fortepiano at the Royal Academy of Music, the Guildhall School of Music and Drama and the Yehudi Menuhin School, Carole is a much sought-after pedagogue by talented students of the younger generation. Carole comes from a Sephardic family based in Istanbul, and spent her childhood in Stockholm, Geneva and Jerusalem; her mother tongue is French. She is based in London with her husband James and daughter Aurélia. Carole has given recitals throughout Europe, performing in major festivals, as well as in Japan, Singapore, Colombia, Canada and the States. A highly respected teacher, Carole is Professor of Harpsichord and Fortepiano at the Royal Academy of Music, the Guildhall School of Music and Drama and the Yehudi Menuhin School.